How many times have you read a review praising a movie to the skies, gone to see it and it's a stinker? What's going on? The bottom line is there are no objective criteria when it comes to likes and dislikes, in film as much as in anything else. A film review is a justification of an individual experience, how someone felt about a particular film at a particular time as filtered through their life experience and values. Hopefully, with a bit of erudition thrown in. 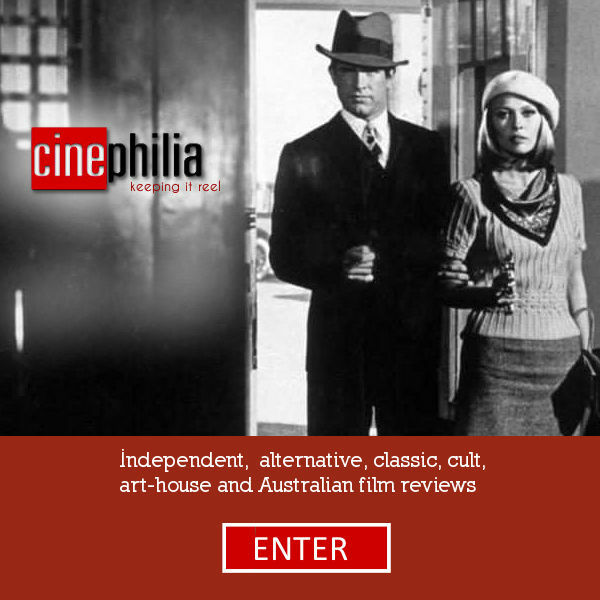 Since 1999 and with a variety of reviewers Cinephilia has provided film reviews of the latest theatrical release movies as well as an extensive archive of classic, art-house, and Australian films in a browseable and searchable movie database called Cinefiles. Films are listed there alphabetically, omitting pronouns. Thus, The Flight of the Phoenix will be found under "F". This arrangement also applies to foreign-language films. Sometimes foreign-language films are listed by their English titles if they are better known by that. Generally speaking, each film is rated as a good (or bad) instance of its type or genre - thriller, comedy, drama, etc. - not as a movie per se. This is not an entirely satisfactory approach although no approach is. Some genres have inherently more potential as film art than others - the 'high art' form of drama as opposed the 'low art' form of comedy, for instance. This makes it rather misleading to simply apply the best-of-its-kind approach to rating films. Thus the highest rating (4.5 - 5 stars) tends to be reserved for films that achieve more than comparative genre success and add to the finest that cinema, as an art form, has to offer. Understandably, there are few, if any, such films in any given year. Of course, underpinning these general precepts is a host of preferences and presuppositions. Thus, I have a liking for films, whatever their stylistic approach may be, that explore the contradictory, troubled aspects of life or that have a melancholy, even tragic view, of the human condition. A film's primary value for me depends on what the people (often concealed behind the symbolically autonomous figure of "The Director") who have made it have to say. How and how well they say it is a highly contingent affair. In the best films form and content come together seamlessly but content is always its sustaining heart. In this respect Australian films need no special indulgence. By the same token relatively speaking you will not find many “choc-top” movies in the Cinephilia database. Anyway, I hope that this website is of use to you in exploring the wonderful world of film.